The board of Ottawa Public Health carried two motions to increase access to supervised injection sites in Lowertown and Centretown for people using drugs. "It felt that we're being listened to. That's a good thing," said Robert Jamison, an Overdose Prevention Ottawa volunteer. "It's pushing things forward making people work a little quicker, a little harder and that's what I want to see." Marilou Gagnon, a public health nurse who also volunteers with Overdose Prevention Ottawa, said the group counts distinct visits without tracking each client's visits. 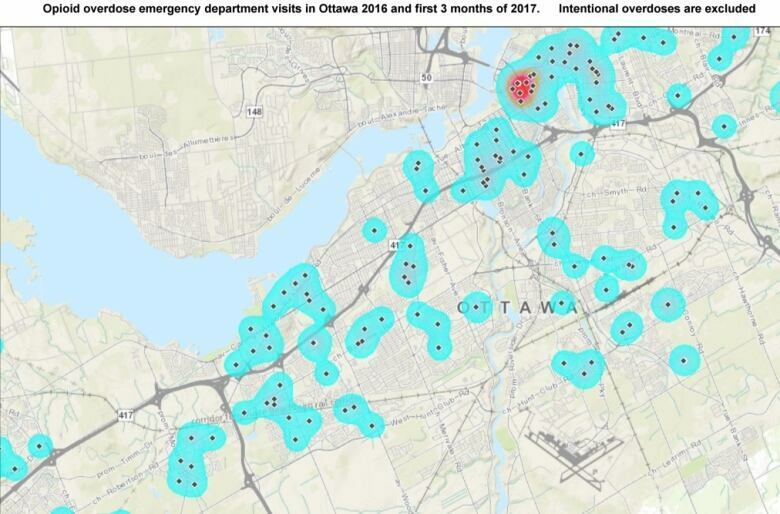 Andrew Hendriks, a director for health protection at Ottawa Public Health, said data shows an average of 120 emergency room visits per month related to suspected overdoses, with a hotspot in Lowertown. Previous consultation showed support for harm reduction services in Rideau-Vanier, he said. Gagnon said OPO intends to use the relationships it has built as a peer-run health service to redirect people to the Clarence location once it's up and running. The interim site would still require Health Canada approval, Levy said. The proposed interim site would operate for 120 days with a report to the board of health at its first 2018 meeting. Coun. McKenney introduced a motion to have Levy work with the provincial and federal governments to speed up the approval of the Somerset West Community Health Centre's supervised injection site. The motion said Health Canada has provided a letter saying they will be able to provide an exemption if they have a letter of support and funding from Ontario's Ministry of Health. Naini Cloutier, executive director of the Somerset West CHC, said they are asking for $1.5 million from the province to operate 12 hours a day, seven days a week. Centretown has the second highest rate of emergency room visits related to overdoses, Cloutier said. She hopes the support from Ottawa Public Health will lead to a successful application faster. "It's a very arduous process that we've been going through," she told CBC News. "We're hoping this will have a practical impact."